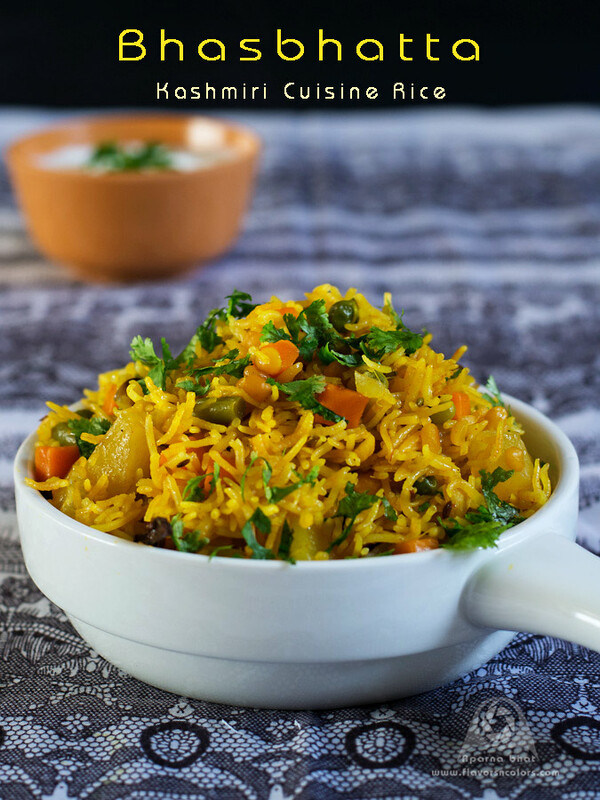 Bhasbhaata/ Bhaazbhatte is an aromatic variety rice from Kashmir cuisine. 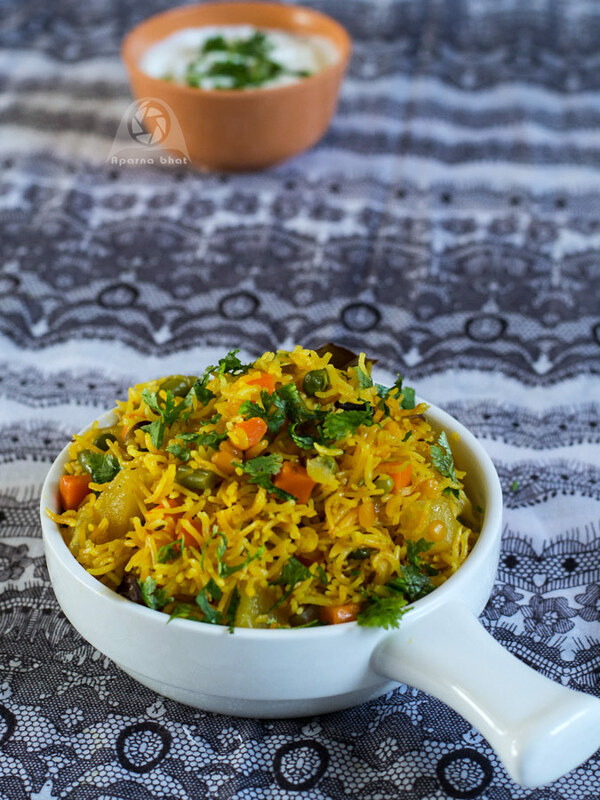 It is a mildly spiced pulao prepared using mixed veggies, whole garam masala and dry spice powders. I was introduced to this dish by my fellow foodie friend, SB who shared her preparation on FB. I did follow her recipe for quite a number of times. Recently, I came across Kaushi Bhatia's way of making this dish in her book "Favourite dishes of India" which is somewhat similar to my friend's recipe but with chana daal added as an extra ingredient. So here is my attempt to make this rice with chana dal. Wash and soak the rice as well as chana dal separately for 30 minutes. Drain it and keep aside. Soak some saffron strands in 2 tbsp of warm milk. Heat ghee in a wok, add cumin seeds. As the seeds crackle add pinch of hing, fennel seeds and saute for few seconds. Next add cloves, cinnamon, green cardamom, bay leaf and peppercorns. Stir it for few seconds. Add sliced onions and sauté them till they turn soft. Add ginger and drained chana dal. Fry stirring continuously for 3-4 mins. Add diced potatoes, mixed veggies, red chilli powder, garam masala powder and turmeric powder. Continue sauteing for another 3-4 mins on sim flame. Add drained rice and salt. Add hot boiling water [about 2 cups] and mix the saffron soaked milk. Pressure cook on medium flame until first whistle and later continue cooking on sim flame for 7-8 mins. This rice dal mixture should not get overcooked. Garnish with finely chopped coriander leaves and serve it warm. Relish this dish with plain curd, raita or any accompaniment of your choice.